Bob advises clients on all aspects of estate planning, including designing trust structures that are customized to address specific dynamics within families, determining appropriate beneficiary designations for retirement accounts and insurance policies, minimizing income and transfer taxes, and planning for contingencies such as incapacity. He also provides financial planning advice, with a particular emphasis on retirement planning. 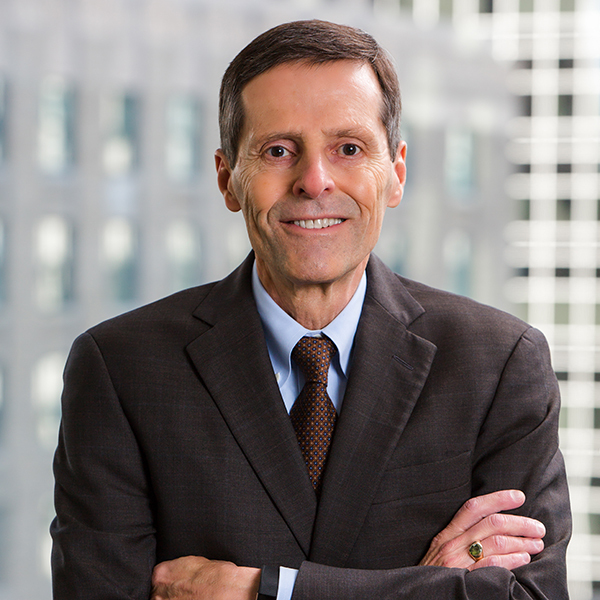 Bob serves on the firm’s Trust Committee and has served as a Director on Fiduciary Trust’s Board since 1998. In addition to his role at Fiduciary Trust, Bob is also an adjunct professor at Bentley University, currently teaching in the Master of Science in Financial Planning program. Prior to joining Fiduciary in 1995, he was an Associate and Partner at the law firm of Palmer & Dodge, a Law Clerk to Hon. Hugh H. Bownes, U.S. Court of Appeals for the First Circuit, and was a CPA with Price Waterhouse. Bob has been an avid runner for decades. In 2012, he was named a Medtronic Global Hero in a program that recognizes medical device patients who are active distance runners. He and his wife, Elin, have two daughters, Ali (who has followed her parents’ footsteps into law practice) and Laura (who is a pediatric nurse).